Growing your own marijuana plants can be fun, relaxing and very rewarding, especially when permitted under state law. 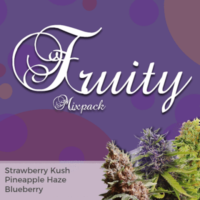 For those growers ‘Just Starting Out’ we have our Beginner mixpack, containing three, easy to grow strains with forgiving natures. 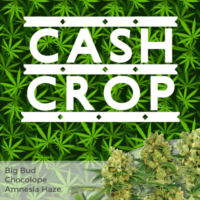 Cultivated either indoors, or outside, these pure feminized seeds will produce female-only plants with potent, good quality buds, offering a variety of flavors and highs. 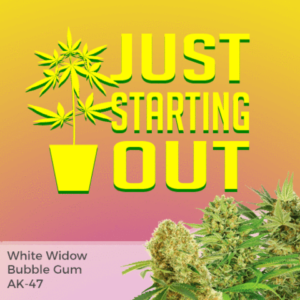 Requiring an average of 8 weeks to flower and mature indoors, or ready to harvest from the end of September when grown outside in a warm, sunny climate. 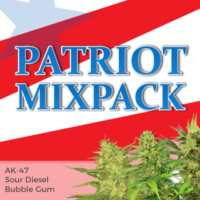 Bubblegum – An American classic with that unmistakable bubblegum flavor and potent, long-lasting high. 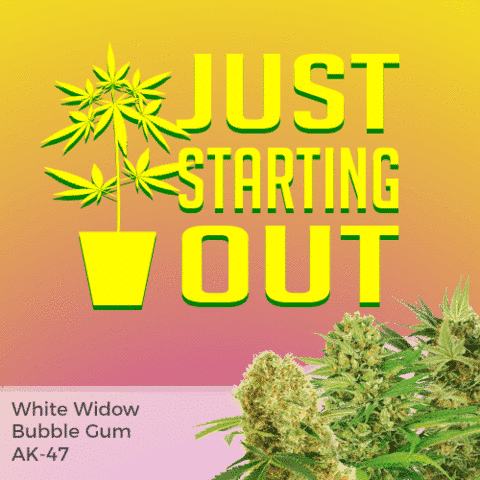 AK-47 – Highly popular Sativa dominant hybrid with a long-lasting cerebral high. 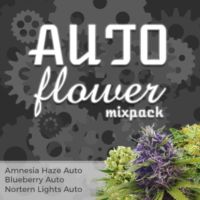 For those growers ‘Just Starting Out’ we have our Beginner mixpack.